What the….? 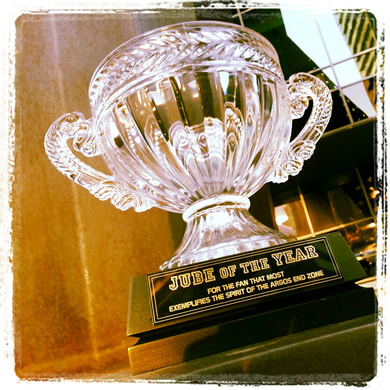 “Jube of the Year“? Yeah, it’s where you can vote for the Toronto Argos super fan. You know, the gal or guy who goes above and beyond to support your Toronto Argonauts. Yes, there’s even a trophy. Yes, we put the winner’s name on it. So, do you know an Argos super fan? You can vote for them below!